Third party durability tests on the new iPhone X indicate the device is exceptionally fragile, potentially rendering some cutting-edge features unusable. Technology site CNET says the device's glass back means the amount of surface that can break when subjected to impact is double that of the iPhone X predecessors. SquareTrade, a company that sells device protection plans, has also conducted tests on the device and calls it the "most breakable phone ever." Jason Siciliano, vice president and creative director at SquareTrade, said they carefully tested eight iPhone X devices to reach their conclusion. "We built robots to test the phones and the different ways that they break," Siciliano told ConsumerAffairs. "We've got a tumblebot, a dropbot, and a bendbot that can do things to these devices in the same way each and every time. That way it's a little more scientific and controlled." Siciliano says the glass on the phone's screen is thin and shatters easily, not just on the front but from all sides. On previous devices, a phone with a cracked screen still worked, but a shattered screen spells disaster for the iPhone X; the facial recognition is no longer operable. "What surprised us was that when it dropped on its side, it was also inoperable because the home swipe didn't work," Siciliano said. "We found this phone is very breakable." Siciliano says phone manufacturers have always struggled with durability issues and most smartphones don’t withstand a drop on a hard surface like concrete. "No one has been able to solve that," he said. "With the last couple of models, Apple has moved to more glass on the phones and having the technology more integrated in the glass. 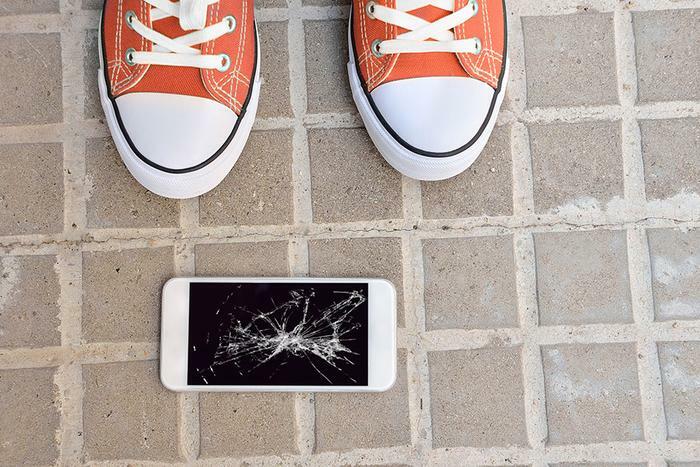 The phones are technologically superior, but they are also more breakable." At the same time, Siciliano says most manufacturers have made improvements in water resistance, and the iPhone X is no exception. He says it can still function after submersion in five feet of water for 30 minutes. Siciliano isn't trying to talk consumers out of buying an iPhone X. He calls it "a beautiful phone and great technology." He says consumers need to be aware that it's more fragile than previous devices. In April SquareTrade declared the Samsung 8 the most breakable phone it had reviewed. On a scale of one to 100 (100 being the most fragile), that device scored a 76. The iPhone X now holds the record with a breakability score of 90. Siciliano says consumers who buy the iPhone X should also purchase a very good case for the phone, preferably one with a lip that extends beyond the front of the phone and will absorb the shock if it lands screen-down on a hard surface. He also recommends purchasing a protection plan or Apple Care since replacing the iPhone X's screen can cost $279. ConsumerAffairs has not received comment from Apple.